Are you a manager looking for a laboratory solution with specific design requirements? Does your organization or industry have stringent safety and compliance requirements? Clean room installation isn’t something that you can take lightly, not only because it must be up to standards for sanitization, but it must also be designed to spec. Did you know that you can choose modular designs for clean rooms? Let’s take a look at why this can be one of the most practical and affordable options. 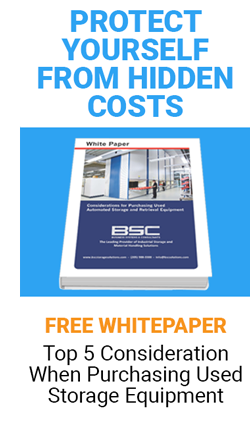 BSC Storage Solutions has been working with organizations in a variety of industries for 40 years, and that includes providing all the storage and shelving supplies required to create secure and compliant clean rooms. Along with protecting sensitive and delicate parts and materials, these solutions can also help you keep your lab organized, and that will lead to improved efficiency and productivity. Here’s a brief look at just a few of the material management and organization solutions we carry. Laboratory Builders Inc.: Laboratory Builders specializes in products that are ideal for healthcare, lab, and clean room settings, including chemical fume hoods, flexible lab furniture, biological safety cabinets, work surfaces, and cabinets made from stainless steel, wood, and high-density polyethylene. 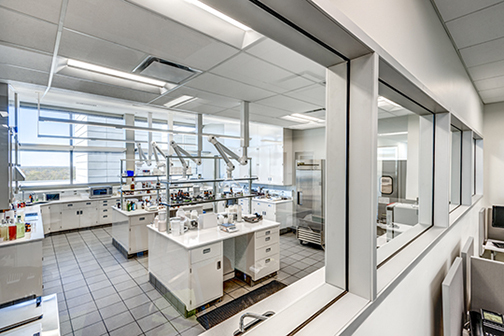 Quality lab casework options are readily available thanks to our partners, Laboratory Builders, Inc. We’ll work with them to find the best custom fit for all of your specialized laboratory needs. Lab casework can be built in an array of designs to a custom size and style. For finishes, you can choose between wood and steel. There are 15 polyurethane steel powdered coat colors to choose from, including a variety of wood grains and premium veneers. Casework tops come in a range of specialized plastics and laminate, all of which are highly resistant and non-absorbent. All of our furniture systems come in an adaptable setup called FlexCore, which allows for an array of setup possibilities, including mobile carts. FlexCore units can connect to competitor units and can be built from different components to create a range of furniture types. Lab casework cabinet designs are interchangeable and measured to spec to fit with even the most difficult or small areas. Specialty equipment like fume hoods which feature by-pass airflow design, plus a completely ergonomic setup for the health of your team. Our fume hoods are made with chemical resistant composite as well as an epoxy steel exterior and come with pre-wired lighting. All of our equipment meets lead standards, and many configurations can be set up within a matter of hours. If you know that your laboratory is in need of a do-over, but you never feel ready to make a change, a modular clean room will allow you to move from that stuffy, outdated lab to a clean and updated area in a matter of days. We’ll save you time by doing everything from start to finish and can help you with all of your facilities, whether you’re in healthcare, pharmaceutical or research settings. We’ll assess your pre-existing space and convert it to something you may not believe is even possible, and we’ll do it all with minimal disruption. 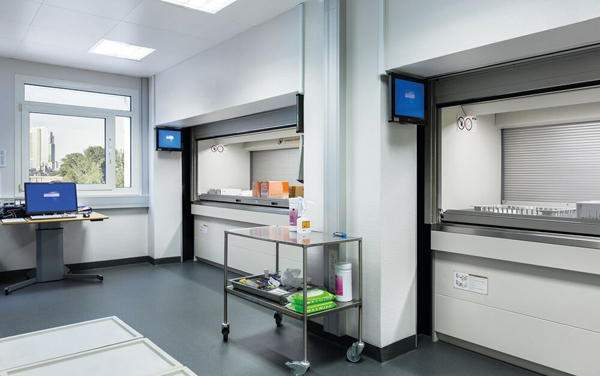 Are you looking for a turn-key design and installation process for a laboratory or other controlled environment that won’t take up too much of your valuable time? Our planners will help you create a custom designed clean room with everything covered from airflow to wiring to particulate filtering and contamination standards. We can also offer various lab equipment upon installations such as flexible furniture, chemical fume hoods, and specialized work surfaces. Wondering about safety and compliance? Our experienced team will have everything covered, from ISO to FED and USP standards. We’ll talk airflow, filtering, and prevention of contamination in all elements of the design to ensure your safety and compliance needs are not just met, but exceeded. Business Systems and Consultants is a leader in quality industrial storage, material handling, and modular office solutions and has a 40-year reputation for outstanding customer relationships. We aim to supply our customers with not only the highest standards of safety and quality regarding storage strategies but also to help them improve business systems. Our experts will help you find the perfect industrial storage solutions for your needs. Want to learn more? Contact us today, and we’ll be happy to answer questions related to any and all of your storage solution needs.